Events, Trips and Tours /Hawks Aloft Inc.
Members of Hawks Aloft can participate in special birding events. Members at the Red-Tail Membership level ($150) or higher receive invitations to exclusive birding field trips. Consider joining Hawks Aloft at a higher level and join us for such very special events. Become a member today. Whether your passion is birds, photography, archaeological sites, petroglyphs, or geography, this promises to be an unforgettable experience. We are partnering with Ted Turner Expeditions (TTX), to enable a very limited number of guests to spend a full day exploring the Ladder Ranch. Its 156,000 acres encompass four tributaries of the Rio Grande, the Animas Mountains, and the Seco, Palomas, and Cuchillo streams. Each has different ecosystems and is home to diverse wildlife including elk, bison, mule deer, javelina, and over 250 species of birds. The Ladder Ranch is also rich in history, with ancient artifacts and adobe home sites ready to be explored. 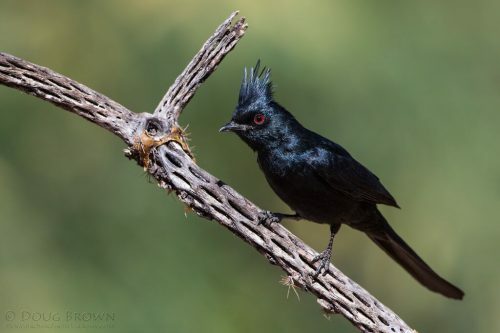 Some of the southern New Mexico bird specialties here include Scaled and Gambel’s Quail, Common Black Hawk, Zone-tailed Hawk, Acorn Woodpecker, Brown-crested Flycatcher, Cassin’s Kingbird, Cactus Wren, Tree Swallow, Bridled Titmouse, Phainopepla, Pyrrhuloxia, Black-throated Sparrow, Hooded Oriole, Scott’s Oriole, and some unusual warblers: Grace’s, Black-throated Gray, Black and White, and Lucy’s. It is common to see 40-60 species on a casual day and, if migration is hopping, sometimes things are going so fast that you can’t even count the birds! Depending on the interests of participants, each UTV (the primary mode of transport in this terrain) will focus on either photography or birds, with no more than three guests in each vehicle, plus one HAI trip leader, either Gail Garber (birds) or Larry Rimer (photography), plus TTX guides, David Barfield or Ken Stinnett. If your interest is photographing birds, we will focus on that. If seeing birds and seeking out specialties excites you, then that will be the focus. The groups will meet up for a gourmet lunch, prepared by Chef Taffy Glenn of the Sierra Grande Lodge. The trip begins and ends at the The Sierra Grande Lodge in Truth or Consequences, with discounted lodging rates for Friday and Saturday nights for our group. (Friday: King $176+ tax, Queen $156+ tax double occupancy. Saturday: King $188 +tax, Queen $175.50 + tax). WITH HAWKS ALOFT & THE CANOPY FAMILY! Semiplumbeous Hawk. Image courtesy of the Canopy Family. Hawks Aloft, Inc. is based in Albuquerque, NM, and works to conserve indigenous wild birds and their habitats through avian research, conservation education, raptor rescue, and cooperation with others. 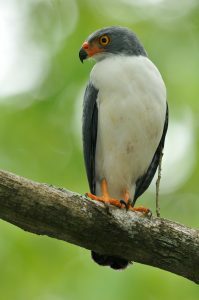 Hawks Aloft has offered trips to Ecuador, Peru, Guatemala, and other international destinations at least once a year to experience diverse wildlife and new cultures. 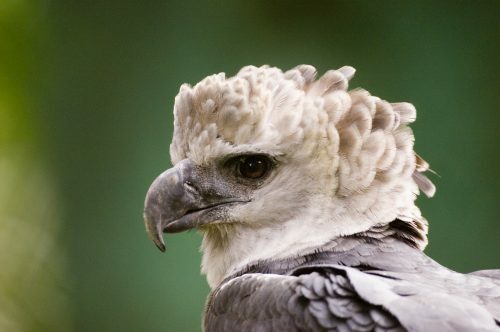 Join Hawks Aloft and the Canopy Family on the trip of a lifetime! Explore local culture, including a native Embera village. Relax and enjoy rainforest-level views from the famous Canopy Tower. 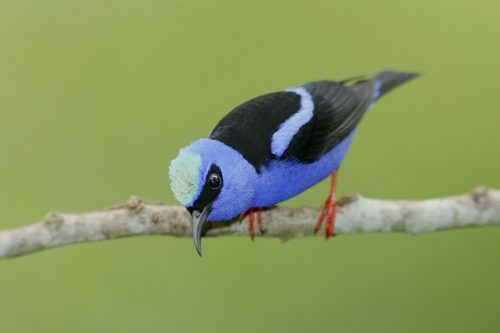 Red-legged Honeycreeper. Image courtesy of the Canopy Family. Trip price: $3200 total (assuming double-occupancy). $600 deposit required to reserve your spot.